Marine Atlantic’s mission is to provide a safe, environmentally responsible, and quality ferry service between the Island of Newfoundland and the Province of Nova Scotia in a reliable, courteous and cost-effective manner. 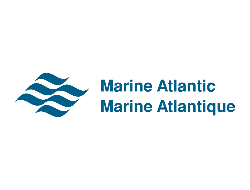 Marine Atlantic is a Crown corporation, and is committed to safety and environmental responsibility. To that end, the Corporation provides ferry services on two routes. The first is a year-round, 96 nautical mile daily ferry service between Port aux Basques, Newfoundland and Labrador and North Sydney, Nova Scotia. The second, offered from mid-June until late September, is a 280 nautical mile tri-weekly ferry service between Argentia, Newfoundland and Labrador and North Sydney, Nova Scotia. They’ve made some changes recently: new vessels, new amenities, and a new look. But what they haven’t changed is their commitment to top-quality, reliable and courteous service for their customers. They look forward to sharing their journey with you.